This page is written and copyright 2008 by Will Johnson, Freelance biographer, wjhonson@aol.com. This page is not finished, but is already the most thorough and complete biography of Henry Fonda which exists online. I'm making constant changes to it as I uncover more material. Should you have corrections, additions, deletions, chocolate eclairs, effusive praise, or vicious catty comments, please email me. 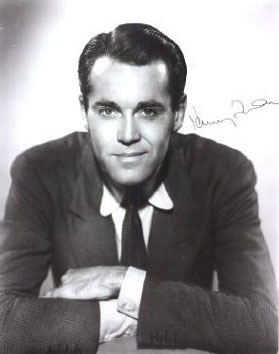 Henry Fonda graduated from Omaha Central High School in 1923. A newspaper mention of him ten years later (The Soda Springs Sun (Soda Springs, Idaho), 20 Apr 1934) states that "during his last two years in high school he worked as a trouble-shooter" [apparently with the telephone or other communications equipment], he then went to the University of Minnesota and got a degree, his thesis being on communication systems. Another source states that he had been studying journalism but dropped out after about two years. A much later newspaper article ("The Fondas", by Richard L Coe, Jan 1972) states that he "...thought of himself as a future newspaperman. Hank went to the University of Minnesota as a journalism major, but dropped out from exhaustion from jobs he took to pay his way through school." At this time, the Omaha Community Playhouse made him an offer of a round-trip ticket and the opportunity to guest-star in any play he chose (Sweeney p7). That is how, in Apr 1930, he is enumerated, living in the household of his parents back in Omaha as an unemployed actor, and single. Kevin Sweeney says that April 1930 he was back in Omaha in the play A Kiss for Cinderella. That Summer he reprised the role, this time opposite Margaret Sullavan for the University Players in West Falmouth, Mass. Henry Fonda co-starred with Imogene Coca in director Leonard Sillman's New Faces of 1934 which opened March 1934. (Dunkirk Evening Observer (Dunkirk, New York), 19 Apr 1934, page 5). This was the first of director Sillman's annual revues, each called New Faces. Note the interesting tidbit, that one of the potential backers who came to watch the auditions was none other than Libby Holmon later to be well-known in regards to her relationship with Montgomery Clift. Libby you will recall was the torch-singer who married a wealthy man who died such an interesting death that Libby went on trial for it. The play The Farmer Takes A Wife, tells the story of Molly Harkins, a pretty girl who works as a cook on a boat, moving from town to town. She meets Dan Harrow, a rough, simple man who wants to settle down as a farmer. He has to convince her to marry him and farm. Henry Fonda plays the man, and June Walker the woman (see here). The entry at the Internet Broadway database states that this play ran on Broadway from Oct 1934 to Jan 1935. It had however premiered in Washington. In Jul 1935, the New York Times is reporting that Henry Fonda is under contact with "Walter Wanger, Paramount producer" and working at the Fox studios in a new version of Way Down East. 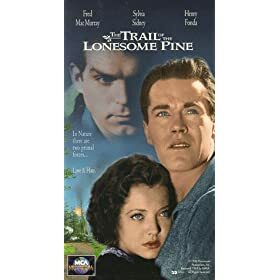 Also in 1935, Henry Fonda as "Dave Tolliver" worked in The Trail of the Lonesome Pine starring Sylvia Sidney and Fred MacMurray, but the film didn't open until Feb 1936. On his return from London in Sep 1936 to New York, he lists his address as "233 North Carmetina, West Los Angeles", he also on this slip lists his birthplace as "Grand Island, Nebraska". Soon after their return to New York, they were married. Frances was a wealthy widow with a young daughter Frances "Pan" Brokaw (b 10 Oct 1931) from her prior marriage to George Tuttle Brokaw (1879-1935) (see here), a retired lawyer and sportsman "and on one occasion producer of musical comedy" (New York Times, 29 Mar 1929). George, many years her senior, had died of a heart attack on 28 May 1935, at the Hartford Retreat in Hartford, Connecticut where he had been a patient for a year. His obituary mentions that his father had left a "net estate of $12,318,569 of which Mr Brokaw's share was $1,947,302" (see here). George Brokaw had previously been married to Ann Clare Booth in Aug 1923, they divorced and Clare later married Henry Robinson Luce, and as "Clare Booth Luce" became quite famous, as an editor, playwright, journalist, and congresswoman. George and Ann had one daughter Ann born 21 Apr 1926. George's second wife Frances was the executrix and residuary heir. At the time of his death in 1935, she is stated to be living at "60 East 67th Street". Frances Seymour Brokaw was allowed to spend $1,000 per month for the maintenance of their daughter Frances. The child at the time of her father's death inherited an annual income of $31,000 plus interest in property worth five million (see here). 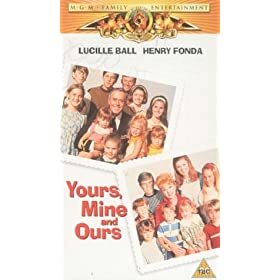 Henry Fonda and Frances Seymour were the parents of actors Jane Fonda (b. 21 Dec 1937) and Peter Fonda (b. 23 Feb 1940). Even though the family was living in California, Frances decided to fly to New York to have each of her children Jane and later Peter. So Jane was born in New York City while Henry was filming Jezebel with Bette Davis. William Wyler, the director of Jezebel, was none other than the next husband of Henry's ex-wife Margaret Sullavan. William and Margaret had married at the end of 1934, but by the time of this film, were already divorced. Watch two minutes of Jezebel here on YouTube. Henry had had it written into his contract that if his wife gave birth while they were shooting Jezebel, he could fly back to New York to be with them. Jane comments in her biography, how her father stated that he took dozens of pictures while there at the hospital, and that she has them. She wistfully comments that in none of these pictures is there one of her mother holding her. 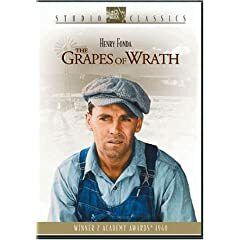 Buy it now at Amazon To get the role of Tom Joad, he had agreed to a seven-year contract which compelled him to play in the romantic-comedy The Lady Eve in 1941 with Barbara Stanwyck. In 1942 he was in The Male Animal, and also that year co-starred opposite Lucille Ball in The Big Street. Lucille Ball plays a hard, snobby, gold-digging, nightclub singer. Henry Fonda plays a busboy deeply in love with her. When Lucy tries to leave the man she's been dating, he pushes her down the stairs and she is confined to a wheelchair for the rest of the picture. Now destitute, she must rely on Fonda who takes care of her. The singing of "Who Knows" is not Lucy's voice, it was dubbed in by Martha Mears. As one of the supporting cast in this movie notice Agnes Moorehead. You can watch the entire movie, in nine parts, on Youtube. You can also read my detailed synopsis of the movie here. Henry first appears at time 2:52. Watch Part 1, Part 2, Part 3, Part 4, Part 5, Part 6, Part 7, Part 8, Part 9. In 1946 Henry Fonda played Wyatt Earp in My Darling Clementine. You can buy it here or watch several minutes here on YouTube. Jane Fonda states that Henry was a man of dark moods and that they "...lived in constant awareness of the minefield we had to tread so as not to trigger his rage." (My Life, p 35). On 14 Oct 1950 his then-wife Frances Seymour killed herself by slitting her throat while in a mental hospital. Three months later, in Dec 1950, Henry married the much-younger Susan Blanchard, and went on their honeymoon to the Caribbean, returning Jan 1951. Henry and Susan adopted a baby named Amy, possibly this occurred in 1951. Henry Fonda and Susan Blanchard divorced in 1956. Peter Fonda refers to Susan Blanchard, in his book as "Mom2". William Brace Fonda was born 12 Feb 1879 in Nebraska to Ten Eyck Fonda and his wife Harriet, who had moved there from their native New York. In 1900 he was enumerated living with his parents in Omaha City, as a Salesman. He married Herberta Jaynes on 10 Jun 1903, probably in or near Omaha where they were both living. They moved to Grand Island, Nebraska by 1904 where they rented a house and where their eldest son Henry Fonda was born 16 May 1905. William and Herberta had two more children: Harriet in 1907/8 and Jayne in 1909/10, both born in Nebraska. Between 1905 and 1910 the family had moved back to Omaha, where they are enumerated in the Federal Census that year. Many years later, a newspaper article in which Henry talks about his father states "when he was six months old the family moved to Omaha". It's not a direct quote from Henry however, so it's unclear what the source is for this fact. Some biographers have given the impression that William Fonda moved to Omaha and opened a print shop; however, William's occupation in 1900 was "Salesman", and in 1910 it was "Salesman, Advertising Jobber". In addition, the 1910 enumeration states specifically that he was an employee, not working on his own account. When he registered for the WWI Draft on Sep 1918, William then lists his occupation as self-employed Printer. In 1920 still in Omaha, William Fonda is now a "Proprietor, Commercial Print Shop". Henry's mother fell, broke her leg and developed a blood clot which killed her in October 1934. "I felt so bad that she didn't live to see me move ahead", he said in his biography. "...his father died two years later", states Sweeney. World War I Draft Registration Cards : "William Brace Fonda, 433 N-39 Omaha Douglas Nebr, age 39, born 12 Feb 1879, Printer, Self-Employed, at 306 Patterson Blk? Omaha Nebr; nearest relative Mrs Herberta Fonda, signed W B Fonda; Tall, Slender, L Brown eyes, D Brown hair, no disabilities, registered 12 Sep 1918"
Herberta Jaynes was born 26 Jun 1879 in St. Croix County, Wisconsin, but by 1898 the family had moved to Omaha, Nebraska. She married William Brace Fonda on 10 Jun 1903 probably in or near Omaha. The family lived briefly in Grand Island, but by 1910 they are back living in Omaha, Douglas County, Nebraska. Henry's mother fell, broke her leg and developed a blood clot which killed her in October 1934. "I felt so bad that she didn't live to see me move ahead", he said in his biography. "...his father died two years later", states Sweeney. Her obituary states that Herberta (Jaynes) Fonda died in 5 Oct 1934, at her home in Omaha. The Lincoln Evening News, 18 Aug 1900, "Miss Herberta Jaynes receives scholarship"
Services at Omaha for Herberta Jaynes Fonda — Funeral services for Mrs. Herberta Jaynes Fonda were held in Omaha Monday afternoon. Mrs. Fonda was a schoolmate of Mrs. E.C. Hardy at the University of Nebraska. She was a member of Delta Gamma sorority. Mrs. Fonda died Oct. 5 at her home in Omaha. She was 55 years old. Surviving besides her husband, William B., are two daughters, Mrs. John B. Peacock of Omaha and Mrs. John Schoentgen of Council Bluffs, and a son, Harry Fonda of New York City. Mrs Schoentgen attended the university in 1927. Ten Eyck Fonda was born Dec 1839 in New York to native New York parents. He married, about 1864 to Harriet somebody also a New York native. They stayed in New York until at least 1871 when their son Ten Eyck Jr was born there, but by 1879 they had moved to Nebraska where their next surviving son William was born. Out of their six children, four were yet living in 1900 when they are enumerated in Omaha where Ten Eyck Fonda is a Railroad Ticket Agent. Ten Eyck and Harriet are yet living in Omaha in 1920 so it's probable that they both died there.